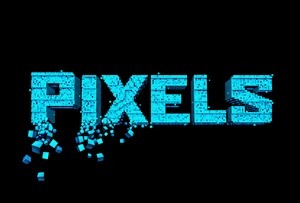 Something to Muse About: The Pixels trailer is here! The Pixels are coming, and its every gamer's dream and nightmare! Peter Dinklage's mullet alone is a thing that needs to be seen. In the same vein as Knights of Badassdom, Dinklage is just as much perfection in a comedic movie as he is in a dramatic role. He could make anything believable, but Kevin James as president may be a stretch. How funny Adam Sandler will be, isn't really seen, but he's got a a good group around him to pick up his slack. And Josh Gad is back in a supporting role, where he really excels. If he can muster half of the enthusiasm he brought to Frozen's Olaf, he'll be comedic gold.